During a bronchoscopy , a lighted tube with a camera is inserted into the lungs. Tissue samples can also be taken to be closely examined. Note: Cough and cold medications should not be used in children under 2 years old, and they are not recommended in children under 4 years old. The US Food and Drug Administration has not completed its review regarding the safety of over-the-counter cough and cold medications in children ages 2-11 years. Rare, but serious side effects have been reported. If you smoke, talk to your doctor about strategies to quit . Smoking affects your lung function and increases your risk of many diseases. 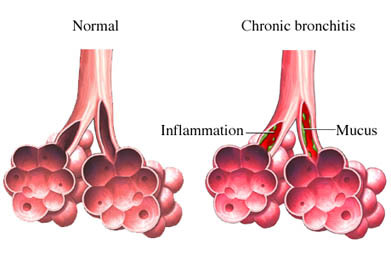 Chronic cough in adults. EBSCO DynaMed Plus website. Available at: http://www.dynamed.com/topics/dmp~AN~T146529/Chronic-cough-in-adults . Updated May 25, 2017. Accessed August 14, 2017.